Today, local educators--along with Anita Lee, wife of the late Mayor Edwin M. Lee--gathered at Treasure Island's public charter high school for a ceremony to mark the construction of a 6,000-square-foot dormitory. Life Learning Academy (LLA) is creating housing for 20 students, but because Lee facilitated an anonymous $1.5 million contribution, the school is naming its student-led garden and greenhouse in his honor. "There are not enough words to adequately describe the gratitude that the Life Learning Academy community and I have for the Mayor," said principal Dr. Teri Delane in a statement. "Mayor Lee came to our campus on Treasure Island last winter and immediately understood our vision to create the dormitory. Sight unseen, he told us that he would find a way to help us, and he did." After landing the donation, the school has raised an additional $2.1 million in capital funding. 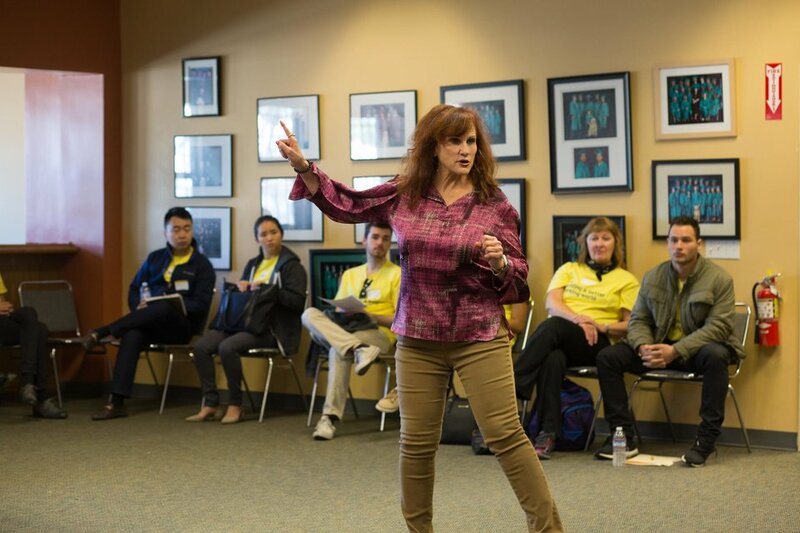 Part of the San Francisco Unified School District, LLA was founded in 1998 by the Delancey Street Foundation, an organization that assists people struggling with substance abuse, homelessness and rehabilitation after incarceration. The high school serves approximately 50 youth who haven't succeeded in traditional classroom settings. Because many are without permanent housing, the school often becomes an extended family and a second home, according to the organization. "We have a group of kids--kids who feel hopeless, kids who don't have families, kids who just want to wake up in a safe environment and feel cared about--and it was from that we decided that we're going to open a dormitory for homeless kids," said Delane. Several students said the school offers a second chance to students who might be overlooked. "It makes them feel wanted," according to junior Effren D.
"When you're homeless, you're always worrying about where you're going to sleep, what you're going to eat, and how you're going to go to bed," added alumnus Robert, a member of last year's graduating class. Like many kids in the program, Robert said that while he and his family had a consistent place to live, after his mother's housing expenses more than doubled, the family had to vacate. Robert would stay where he could in the East Bay, Daly City, and in the Mission while still commuting to Treasure Island for school. "I've never been so tired in my life," he said, "But I still came out here. Because this school was my home." 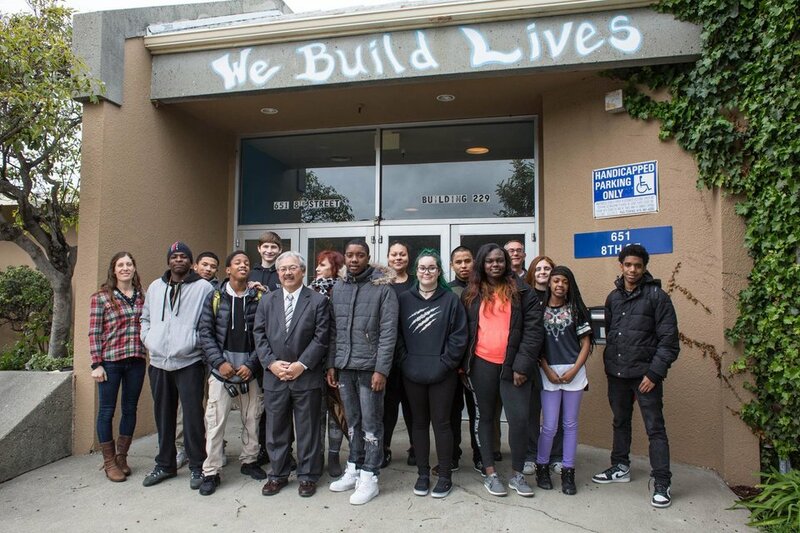 "Life Learning Academy's model resonates deeply for me on both personal and professional levels--as a high school dropout, and in my career in law enforcement and community safety," said San Francisco District Attorney George Gascon, who also attended the ceremony. 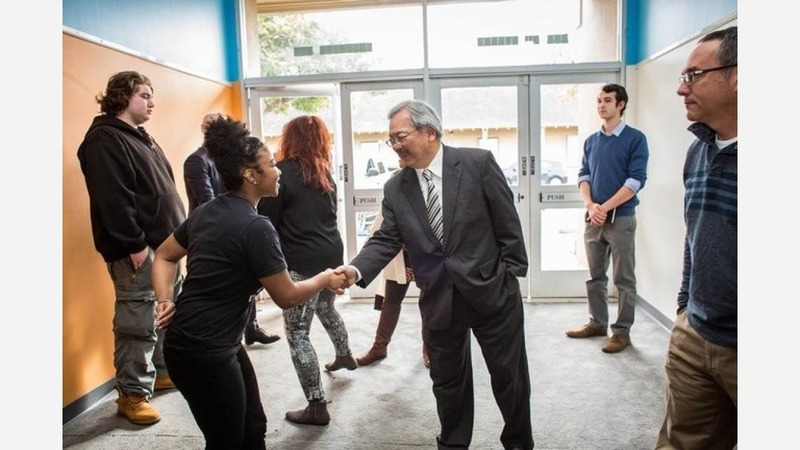 "Today's groundbreaking marks a vital evolution of Life Learning Academy and San Francisco's ability to support youth who are living in unsafe, unstable conditions," he said.